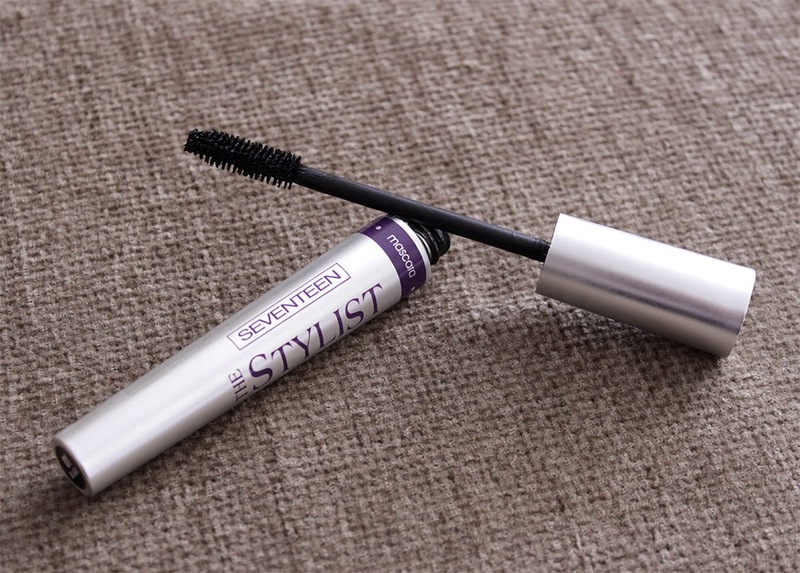 Carousel Coral: Seventeen The Stylist Mascara Review. Hello my lovelies! 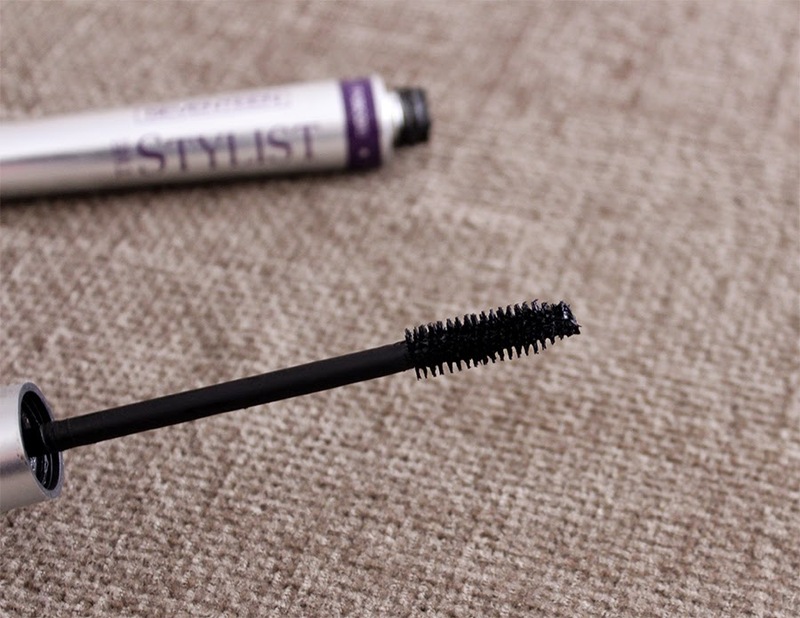 I'm back with the mascara reviews, and this time is about one that I purchased in July but I never showed it in a haul post, it's from a greek "drugstore" type of brand, called Seventeen. I don't have much experience with their mascaras I've only tried one in the past, the X-Traordinaire but I didn't like it at all. Let's see what are my thoughts about this one, "The Stylist". This mascara has the standard/old school brush, with a full set of bristles really packed together. The size of the brush is more of a small to medium size which I find really good if you have small eyes or short lashes. I have noticed that a lot of mascara comes out with every dip, so I have to be careful and wipe some product onto a tissue before using it. This brush is not the best for defining lashes, it gives volume and length but it also clumps. It has a very waxy, and almost "mousse" type of texture, and that's also a reason why it clumps. It's not a very wet mascara, so it doesn't weigh down my lashes, but it doesn't really hold a curl for hours. I really love that feather-look it gives to the outer corner of my lashes, it makes my eyes look like they have more of an "almond" shape. As you can see it gives a bit of volume and length, but I'd say it's more of a volumizing mascara, I can see that my lashes look more full, especially on the roots. And I also have to mention that it's super black! It costs 12 euros, I'd say that it's not super cheap neither too expensive for a "drugstore" type of mascara. In Greece you can find it at any Hondos Center or Gallerie De Beaute store. -It adds volume and length to the lashes. 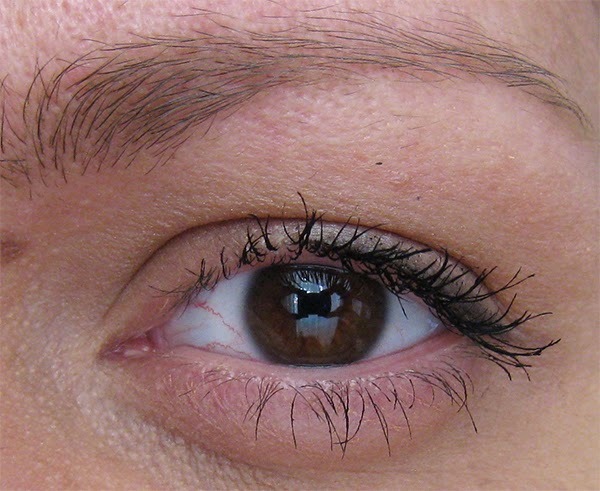 -It's winging out the outer corners of the lashes creating a feathered look. It clumps, even with only one coat. Overall I really like this mascara, I really love the soft voluminous look it gives to my lashes and to be quite honest I don't mind the clumping. For me it's a great everyday mascara, of course you can built it up to a more dramatic look but it will clump like crazy. I may repurchase it in the future and I really wanna try more mascaras from Seventeen. 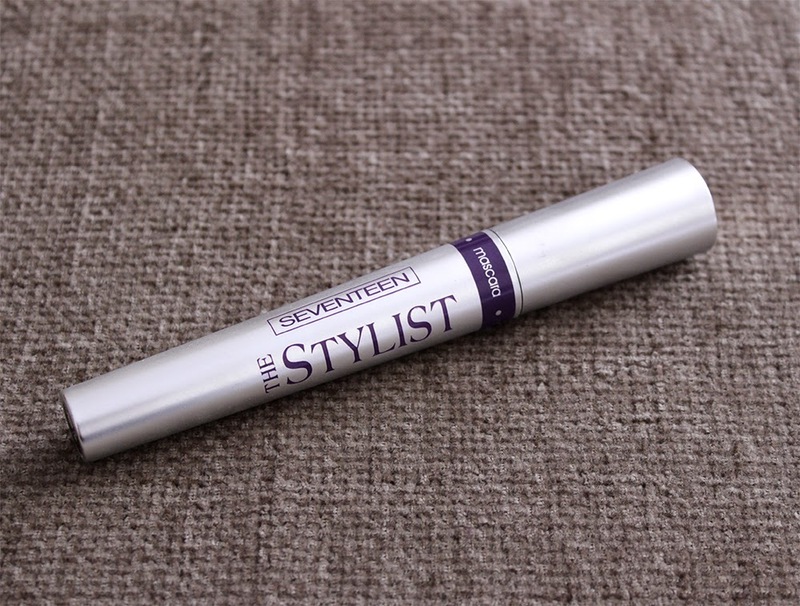 Have you tried the Seventeen The Stylist mascaras? Did you like it? Απο Radiant μονο τη Studio Perfect εχω δοκιμασει αλλα δεν μου αρεσε, θελω ομως να δοκιμασω παρα πολυ την Magna Lash! Σ'ευχαριστω πολυ! Χαιρομαι που μου ειπες τη γνωμη σου, οταν την αγορασα δεν μπορουσα να βρω σχεδον καθολου reviews γι'αυτη την μασκαρα, γι'αυτο κ εκανα αυτο το review. τη Magna lash την αγαπω αν τη δοκιμασεις..κανει θαυματα σε μικρες βλεφαριδες..αυτη δεν την εχω δοκιμασει αλλα απο seventeen δεν αλλαζω με τιποτε τη xtraordinare..